Most artists are selling their work on at least one online platform. But with so many different options available, how do you know which model is the best for your art practice? Carolyn Edlund of Artsy Shark Gallery takes us through the ins and outs of different ways to sell your work online, what each platform provides and, how to choose which business model is right for you. WHAT ARE THE CATEGORIES OF PLACES TO SELL WORK ONLINE? WHAT ARE THE MAIN DIFFERENCES BETWEEN THESE PLACES TO SELL? There are many different business models for sites that help artists and makers sell their work. Some are marketplaces, where anyone can create a page or shop. They usually have a template type setup, and a monthly fee or listing fees. Etsy is a good example of this. Others are print-on-demand sites that print the artist’s images on many products, from canvas to t-shirts and clothing, notecards, pillows, mugs and more. They either pay a royalty to the artist, or set a base price for the product and allow the artist to set the retail price. There are e-commerce sites that function as the online counterpart to a brick and mortar gallery. And others that cater to the trade. They may sell to interior designers, art consultants, and others who buy for their clients, or they may offer art for licensing. Other sites specialize in renting artwork, or helping artists sell on social media, or soliciting commissions for custom work. It’s really fascinating to see the different concepts behind these online sales sites, and the benefits they offer to artists. If you want to sell your work online, you can certainly find one that’s a match. WHAT DO CURATED OR JURIED GALLERIES PROVIDE THAT OTHER GALLERIES DON’T? Well, of course there is the advantage of quality control, and a more cohesive, curated collection to offer to shoppers. Sites that allow anyone to sell tend to have an uneven feel to them. You can sometimes find the most wonderful things and the worst things, all on one site. Of course, that can be fun and entertaining, so it has an appeal. But sites that are very selective tend to have a high standard of quality. And, they may select work for their particular niche or to suit a particular target audience. HOW ARE COMMISSIONS ON ONLINE ART GALLERIES LIKE YOURS DETERMINED? WHAT SHOULD AN ARTIST KNOW ABOUT COMMISSION PRICES BEFORE AGREEING TO BEING ON A SITE? 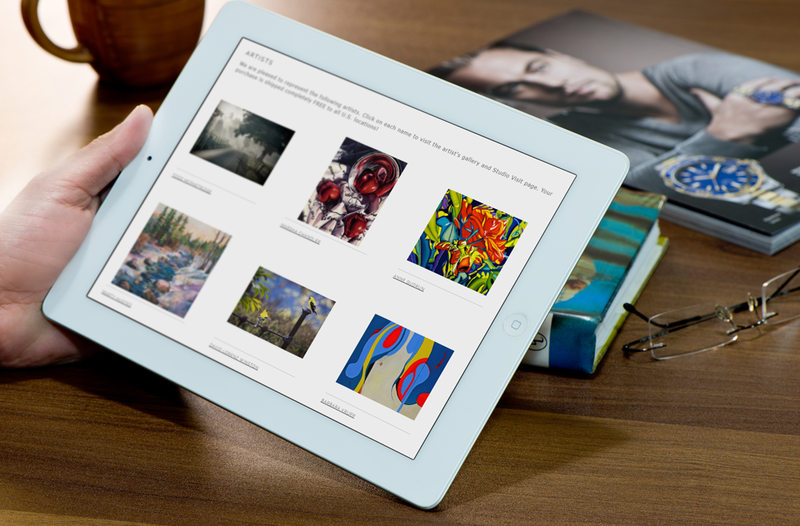 Our online gallery works like a typical art gallery, in that there is no cost or risk to the artist. We work strictly on commission. Each artist knows their prices and what they need to be profitable with their portion of the sale, and we have written contracts spelling out each detail. This should be true for any artist selling through traditional galleries as well. Most e-commerce sites will have their terms explained in full in their FAQ section for Artists. If not, just ask them. I recommend that everyone be aware of their costs, their pricing formula, and their profitability. Then you will know if a commission structure works for you. Keep this in mind: if a gallery sells for you, then are taking over the duties and costs of marketing and selling. That is a tremendous amount of work. Any artist who sells their artwork directly should include the cost of marketing and selling in their price, because they step into the gallerist’s shoes and take over those duties since they are self-representing. HOW DO YOU DETERMINE THE REPUTATION OF AN ONLINE GALLERY? This is an interesting question! I would recommend artists discuss online galleries in forums or discussion groups with others who have had experience with the galleries in question, or contact artists who have work listed on the site and see if they are satisfied with their experience. WHAT TYPE OF LOGISTICS OR SERVICES DO ONLINE GALLERIES PROVIDE? Depending on the model, the gallery may offer printing services, shipping, guaranteed returns or even financing in some cases. They often have customer service numbers for shoppers, and some of them will have a smartphone app that allows you to browse, or even see artwork in situ. WHY WOULD AN ARTIST CHOOSE AN ONLINE GALLERY OVER A BRICK AND MORTAR GALLERY? I don’t really see this as an either/or question, because artists may opt for both. If they have brick and mortar representation that precludes them from being in online galleries, they should honor their contract. But it’s a personal decision on which way to go. Online art sales are huge, and growing. And physical galleries are finding that they need an online component to stay competitive. There are definitely advantages with brick and mortars, mainly showing your artwork to the public in person with the support of a sales staff. Attending openings and meeting people interested in your work gives you valuable feedback. And, your work could be covered by the local press if it is displayed in an exhibition. 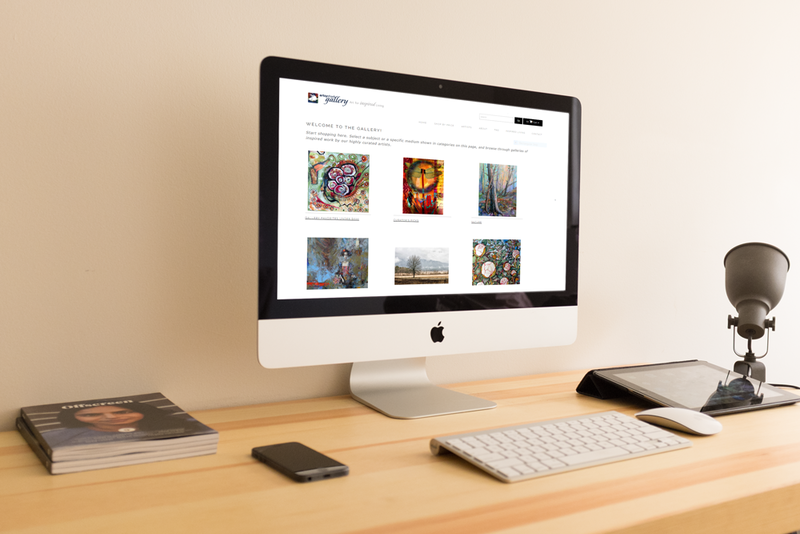 Artists may opt for an online gallery if they want to list work for sale that they retain and have control over. Nothing needs to be shipped or leave their possession unless sold. And, it may be less costly than going the brick and mortar route. HOW DO YOU FIND THE ARTISTS YOU ARE CHOOSING TO REPRESENT? DO YOU ALLOW ARTISTS TO APPROACH YOU? When we decided to open an online gallery as a sister site to Artsy Shark, we were in the enviable position of knowing many extremely talented artists, having featured over 850 of them (so far) over the years. I knew that we definitely wanted a very limited pool of highly curated artists to represent, so that we could do an excellent job for every one of them. My gallery manager and I reviewed hundreds of Artsy Shark artist features, and extended invitations to some artists we felt fit well with our concept and whose work we thought we could sell. It produced an incredibly positive response. Currently we have thirty-some artists on the gallery website, but this number will grow a bit larger. We work very closely with them. Every artist in the gallery has spoken with both of us at length, and has our phone numbers to call at any time. We stay in close touch, and do a ton of promotion on their behalf. Since the gallery is strictly invitational, we do not accept submissions. All artists are chosen from the pool of featured artists on Artsy Shark, which has a juried submission process several times per year. The next opportunity will be in November, 2016. Acceptance as a featured artist does not guarantee representation by the gallery. It simply puts the artist into the group we choose from. WHAT ADVICE DO YOU HAVE FOR ARTISTS THAT WANT TO GO ALONG THIS TRACK AND GAIN REPRESENTATION FROM A GALLERY LIKE ARTSY SHARK GALLERY? Since we do have a system for choosing artists from our featured group, I would recommend that anyone who believes their work is of the caliber and is a good fit with the existing collection on the gallery could apply to be featured. 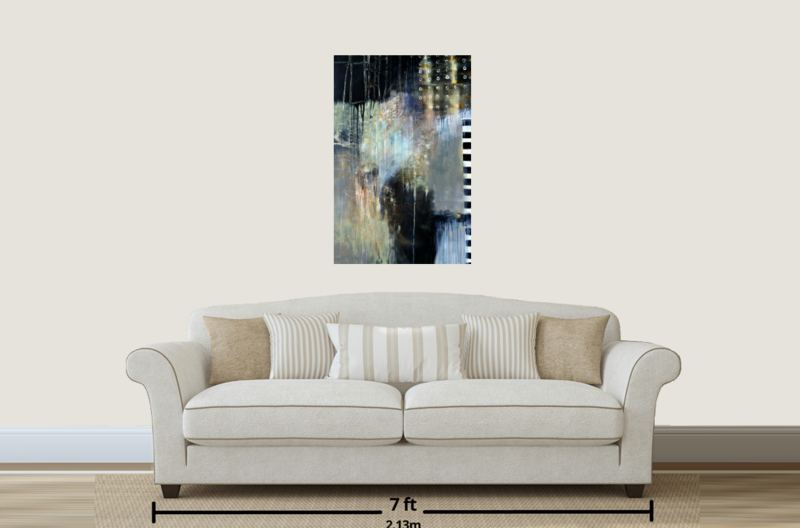 Already have online representation or looking to find more galleries? Keep track of where you submitted your work, and which piece is in which gallery with Artwork Archive. Free for 30 days—no strings attached. Is you artist Facebook page ready for visitors? Here are 5 core components every artist’s Facebook page needs. Artists answer: “What is one surprising truth about being a creative entrepreneur?” Their responses spark new reflections on artist's career paths. Selling doesn’t always come naturally to artists. The good news? Picking up these habits can help.